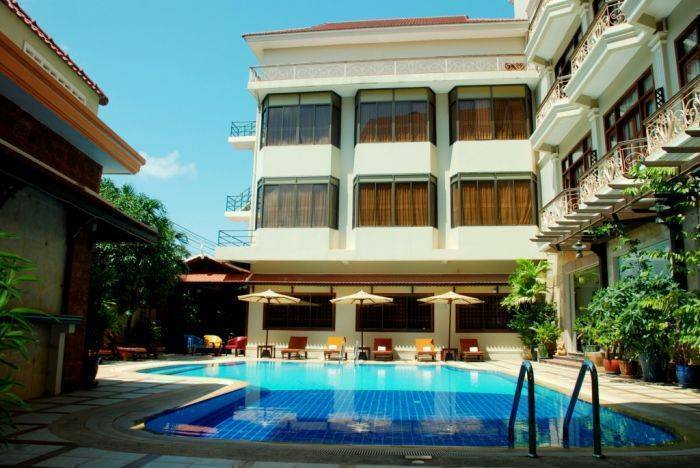 More than just another new hotel, Prum Bayon hotel combines traditional Khmer Hospitality and style in a mordern, comfortable, boutique environment with 74 guestrooms and our guests can enjoy a dip in the outdoor pool. 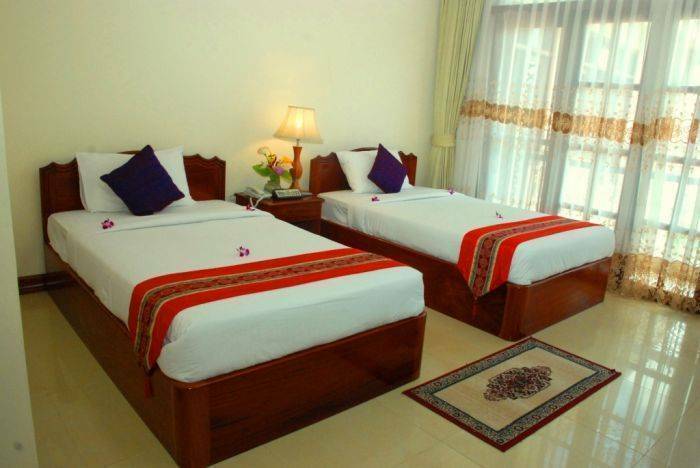 Prum Bayon Hotel is conveniently located in the popular of Siem Reap city, only a leisurely a few minutes walk from the hustle and bustle of Siem Reap's Old Market and popular Pub Street. 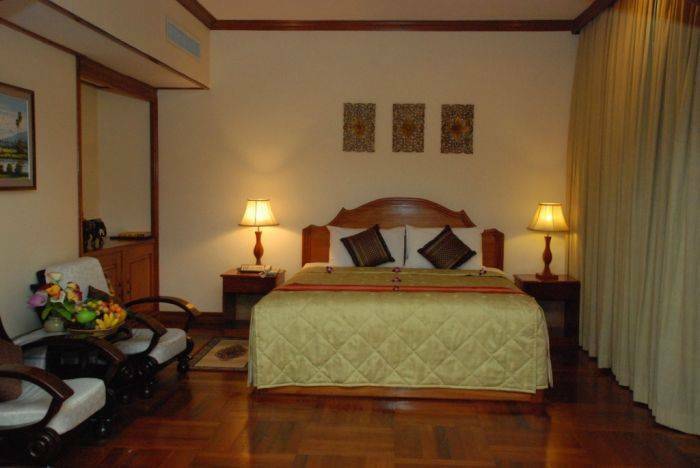 Large Parking area, Pool , Business Center, Internet FiWi, Souvenir, Room Service, Laundry, Baby siter, doctor on call, Tourdesk. 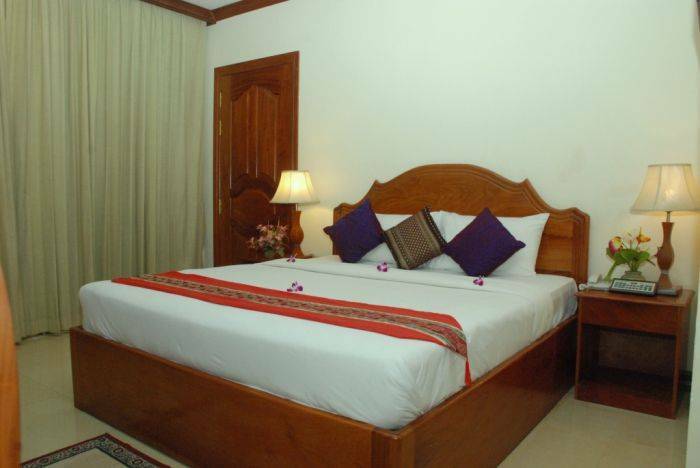 With 74 tastefully furnished rooms and suite, the uncompromised hand carved on hard wood timbers and stone throughout the interior and exterior an inspiration of great beauty and craftsmanship., All specious rooms include modern conveniences such as attached bathroom with bathtub in every rooms. 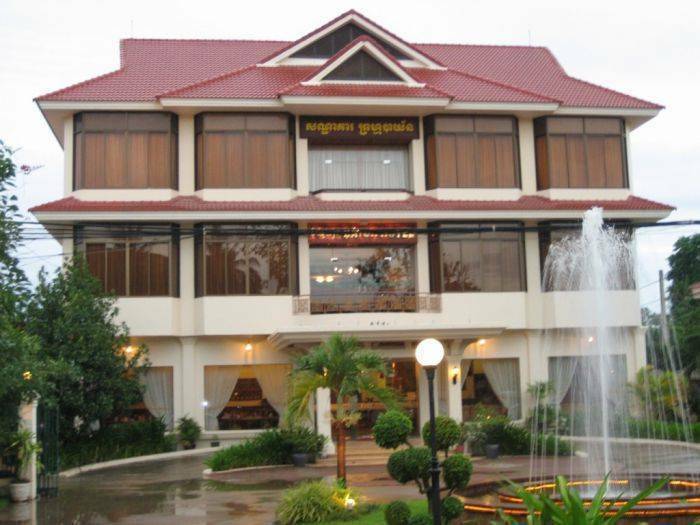 Prum Bayon Hotel is on the main road number 6, in from TELA Gas station. Served breakfast , lunch , dinner, Asia , western and local cuisines. About 50 meters, the best Local cuisine. About 150 meters, Local food. Cancellation must be email at least 07 days before check in = No charge , less than 07 or no show is charger for one night. 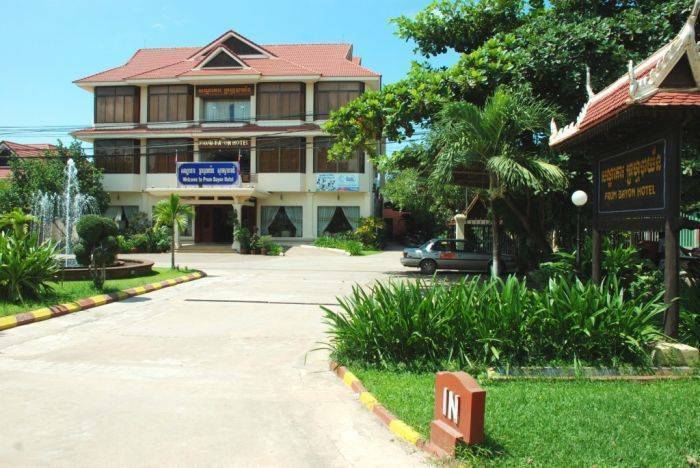 Prum Bayon Hotel is conveniently located in the popular of Siem Reap city, about 10 minutes drive from the Siem Reap international airport on the main National road 6, in front of TELA Gas station. From the moment of the arrival, can get to our property by Taxi, MotorTrailer ( Tuk Tuk ).